The ancestral record of Philippine National Hero José Rizal himself includes Spanish, Chinese and Japanese blood. Philippine languages, English, Spanish, other European languages, Chinese, Japanese or other languages. Christianity (Predominantly Roman Catholic, with a minority of Protestants) and Islam or other religions. In the Philippines, Filipino mestizo or colloquially tisoy, are people of mixed Filipino and any foreign ancestry. The word mestizo itself is of Spanish origin; it was first used in the Americas to describe only people of mixed Native American and European ancestry. The Spanish expedition in 1565, prompted a period of Spanish colonization over the Philippines which lasted for 333 years. The Roman Catholic Church played an important role in allowing Spanish settlements in the Philippines. The Spanish government and religious missionaries were quick to learn native Filipino languages and Roman Catholic rituals were interpreted in accordance with Filipino beliefs and values. As a result, a folk Roman Catholicism developed in the Philippines. European settlers from Spain and Mexico immigrated and their offspring (of either Spanish, or Spanish and Filipino) may have adopted the culture of their parents and grandparents. Most Filipinos of Spanish descent in the Philippines are of mixed ancestries or are of pure European ancestry. Some individuals still speak Spanish in the country, in addition, Chavacano (a creole language based largely on the Spanish vocabulary) is widely spoken in the Southern Philippines, including the Zamboanga Peninsula and its neighbouring regions. Spanish era periodicals record that as much as one third of the inhabitants of the island of Luzon possess varying degrees of Spanish admixture. In addition to Luzon, select cities such as Bacolod, Cebu, Iloilo or Zamboanga which are home to historical military fortifications or commercial ports during the Spanish era also holds sizable mestizo communities. Even before Spanish arrived in the Philippines, the Chinese have traded with the natives of the Philippines. During the colonial period, there was an increase in the number of Chinese immigrants into the Philippines. The Spaniards restricted the activities of the Chinese and confined them to the Parián which was located near Intramuros. Most of the Chinese residents earned their livelihood as traders. Many of the Chinese who arrived during the Spanish period were Cantonese, who worked as labourers, but there were also Fujianese, who entered the retail trade. The Chinese resident in the islands were encouraged to intermarry with Filipinos, convert to Roman Catholicism and adopt Hispanic names, surnames and customs through the Catálogo alfabético de apellidos introduced by the Spaniards in the mid-19th century. During the United States colonial period, the Chinese Exclusion Act of the United States was also applied to the Philippines. After the Second World War and the victory of the Communists in the Chinese Civil War, many refugees who fled from Mainland China settled in the Philippines. This group formed the bulk of the current population of Chinese Filipinos. 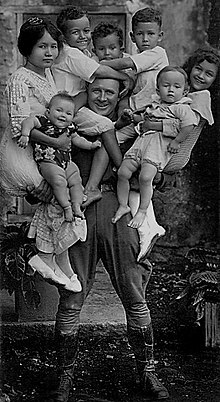 After the Philippines achieved full sovereignty on 4 July 1946, Chinese immigrants became naturalised Filipino citizens, while the children of these new citizens who were born in the country acquired Filipino citizenship from birth. Chinese Filipinos are one of the largest overseas Chinese communities in Southeast Asia. Sangleys—Filipinos with at least some Chinese ancestry — comprise 18–27% of the Philippine population. There are roughly 1.5 million Filipinos with pure Chinese ancestry, or about 1.6% of the population. The history of racial mixture in the Philippines occurred on a smaller scale than other Spanish territories in Americas during the Spanish colonial period from the 16th to the 19th century. This ethno-religious social stratification schema was similar to the casta system used in Hispanic America, with some major differences. The system was used for taxation purposes, with indios and negritos who lived within the colony paying a base tax, mestizos de sangley paying double the base tax, sangleys paying quadruple; blancos, however, paid no tax. The caste system was abolished after the Philippine Declaration of Independence from Spain in 1898, and the term Filipino was expanded to include the entire population of the Philippines regardless of racial ancestry. "It is needful to encourage public instruction in all ways possible, permit newspapers subject to a liberal censure, to establish in Manila a college of medicine, surgery, and pharmacy: in order to break down the barriers that divide the races, and amalgamate them all into one. For that purpose, the Spaniards of the country, the Chinese mestizos, and the Filipinos shall be admitted with perfect equality as cadets of the military corps; the personal-service tax shall be abolished, or an equal and general tax shall be imposed, to which all the Spaniards shall be subject. This last plan appears to me more advisable, as the poll-tax is already established, and it is not opportune to make a trial of new taxes when it is a question of allowing the country to be governed by itself. Since the annual tribute is unequal, the average shall be taken and shall be fixed, consequently, at fifteen or sixteen reals per whole tribute, or perhaps one peso fuerte annually from each adult tributary person. This regulation will produce an increase in the revenue of 200,000 or 300,000 pesos fuertes, and this sum shall be set aside to give the impulse for the amalgamation of the races, favoring crossed marriages by means of dowries granted to the single women in the following manner. 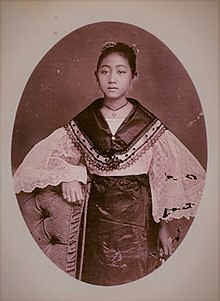 To a Chinese mestizo woman who marries a Filipino shall be given 100 pesos; to a Filipino woman who marries a Chinese mestizo, Ioo pesos; to a Chinese mestizo woman who marries a Spaniard, 1,000 pesos; to a Spanish woman who marries a Chinese mestizo, 2,000 pesos; to a Filipino woman who marries a Spaniard, 2,000 pesos; to a Spanish woman who marries a Filipino chief, 3,000 or 4,000 pesos. Some mestizo and Filipino alcaldes-mayor of the provinces shall be appointed. It shall be ordered that when a Filipino chief goes to the house of a Spaniard, he shall seat himself as the latter's equal. In a word, by these and other means, the idea that they and the Castilians are two kinds of distinct races shall be erased from the minds of the natives, and the families shall become related by marriage in such manner that when free of the Castilian dominion should any exalted Filipinos try to expel or enslave our race, they would find it so interlaced with their own that their plan would be practically impossible." Filipino, other Philippine languages, English and Spanish. At least 1.5 million are of pure Chinese ancestry. Persons classified as blancos (whites) were subdivided into the peninsulares (persons of pure Spanish descent born in Spain); insulares or filipinos (persons of pure Spanish descent born in the Philippines i.e. criollos); mestizos de español (persons of mixed Autronesian and Spanish ancestry), and tornatrás (persons of mixed Austronesian, Chinese, and Spanish ancestry). Persons of pure Spanish descent living in the Philippines who were born in Hispanic America were classified as américanos. Mestizos and mulattoes born in Hispanic America living in the Philippines kept their legal classification as such, and usually came as indentured servants to the américanos. The Philippine-born children of américanos were classified as filipinos. Philippine-born children of mestizos and mulattoes from Hispanic America were classified based on patrilineal descent. The indigenous peoples of the Philippines were referred to as Indios (for those of pure Austronesian descent) and negritos. Indio was a general term applied to native Austronesians as a legal classification; it was only applied to Christianised natives who lived in proximity to the Spanish colonies. Persons who lived outside of Manila, Cebu, and areas with a large Spanish concentration were classified as such: naturales were baptised Austronesians of the lowland and coastal towns. Unbaptised Austronesians and Aetas who lived in the towns were classified as salvajes (savages) or infieles (infidels). Remontados ("those who went to the mountains") and tulisanes (bandits) were Austronesians and Aetas who refused to live in towns and moved upland. They were considered to live outside the social order as Catholicism was a driving force in everyday life as well as determinant of social class. The Spanish legally classified the Aetas as negritos, based on their appearance. The word term would be misinterpreted and used by future European scholars as an ethnoracial term in and of itself. Both Christianised Aetas who lived in the colony and unbaptised Aetas who lived in tribes outside of the colony were classified negrito. Christianised Aetas who lived in Manila were not allowed to enter Intramuros and lived in areas designated for indios. Persons of Aeta descent were also viewed as being outside the social order as they usually lived in tribes beyond settlements and resisted conversion to Christianity. The fluid nature of racial integration in the Philippines during the Spanish colonial period was recorded by many travelers and public figures at the time, who were favorably impressed by the lack of racial discrimination, as compared to the situation in other European colonies. The lines separating entire classes and races, appeared to me less marked than in the Oriental colonies. I have seen on the same table, Spaniards, Mestizos (Chinos cristianos) and Indios, priests and military. There is no doubt that having one Religion forms great bonding. And more so to the eyes of one that has been observing the repulsion and differences due to race in many parts of Asia. And from one (like myself) who knows that race is the great divider of society, the admirable contrast and exception to racial discrimination so markedly presented by the people of the Philippines is indeed admirable. "... Spaniards and natives lived together in great harmony, and do not know where I could find a colony in which Europeans mixes as much socially with the natives. Not in Java, where a native of position must dismount to salute the humblest Dutchman. Not in British India, where the Englishwoman has now made the gulf between British and native into a bottomless pit." Today, the word mestizo is shortened as tisoy just as is the word Pinoy for Filipino. It is used for all Filipinos with foreign ancestry, particularly those born in the diaspora or as children of recent immigrants. ^ "Mestizo - Define Mestizo at Dictionary.com". Dictionary.com. ^ International Studies & Programs at Michigan State University. "Asian Studies Center – Michigan State University – Oops!". msu.edu. Archived from the original on 2007-10-09. Retrieved 2007-12-01. ^ "Chinese Exclusion Act: 1882". thenagain.info. ^ "The ethnic Chinese variable in domestic and foreign policies in Malaysia and Indonesia" (PDF). Retrieved 2012-04-23. ^ Historical Conservation Society. The Society. 1963. p. 191. ^ Sinibaldo De Mas (1963). Informe secreto de Sinibaldo de Más. Historical Conservation Society. p. 191. ^ Shubert S. C. Liao (1964). Chinese participation in Philippine culture and economy. Bookman. p. 30. ^ Emma Helen Blair (1915). The Philippine Islands, 1493–1898: Relating to China and the Chinese. A.H. Clark Company. pp. 85–87. ^ Frederic H. Sawyer (1900) The Inhabitants of the Philippines, p. 125, New York. Wickberg, Edgar. (March 1964) "The Chinese Mestizo in Philippine History". The Journal of Southeast Asian History, 5(1), 62–100. Lawrence, Kansas: The University of Kansas, CEAS. Monroy, Emily. (23 August 2002) "Race Mixing and Westernization in Latin America and the Philippines". analitica.com. Caracas, Venezuela. Gambe, Annabelle R. (2000) Overseas Chinese Entrepreneurship and Capitalist Development in Southeast Asia. Münster, Hamburg and Berlin: LIT Verlag. Anderson, Benedict. (1988) Cacique Democracy in the Philippines: Origins and Dreams. Weightman, George H. (February 1960) The Philippine Chinese: A Cultural History of A Marginal Trading Company. Ann Arbor, Michigan: UMI Dissertation Information Service. Tettoni, Luca Invernizzi and Sosrowardoyo, Tara. (1997). Filipino Style. Periplus Editions Ltd. Hong Kong, China. Tan, Hock Beng. (1994). Tropical Architecture and Interiors. Page One Publishing Pte Ltd. Singapore. Advisory Body Evaluation (1999). UNESCO World Heritage Site. Medina, Elizabeth. (1999) "Thru the Lens of Latin America: A Wide-Angle View of the Philippine Colonial Experience". Santiago, Chile. The Colonial Imaginary. 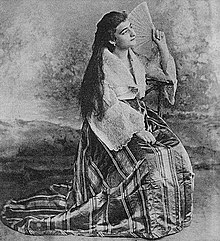 Photography in the Philippines during the Spanish Period 1860–1898 (2006). Casa Asia: Centro Cultural Conde Duque. Madrid, Spain. Blair, E. H. and Robertson, J.A. (editors). (1907) History of the Philippine Islands Vols. 1 and 2 by Dr. Antonio de Morga (Translated and Annotated in English). The Arthur H. Clark Company. Cleveland, Ohio. Craig, Austin. (2004). Lineage, Life and Labors of Jose Rizal, Philippine Patriot. Kessinger Publishing. Whitefish, Montana. This page was last edited on 7 January 2019, at 03:49 (UTC).